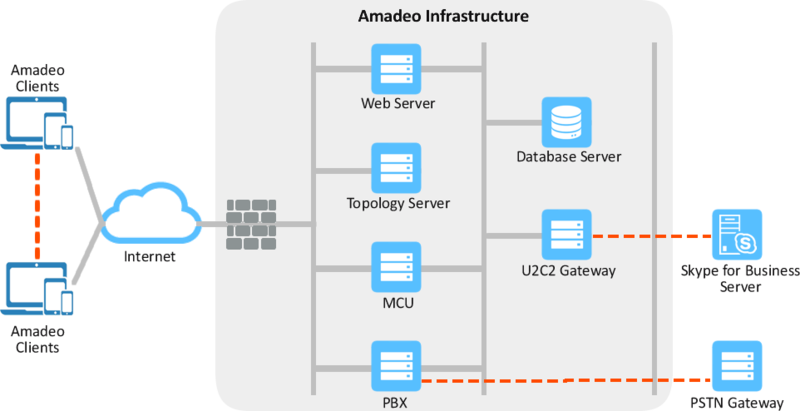 Amadeo is a patented secure peer-to-peer SIP-based unified communication & collaboration solution for SMBs. 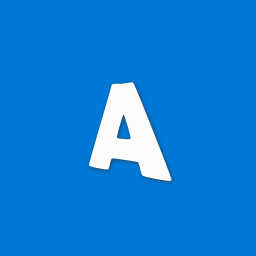 Amadeo can be offered both on-prem & on cloud. Amadeo provides all the necessary components and toolsets to address Communication & Collaboration features providing a positive user experience. The cloud is leveling the playing field for SMBs by enabling access to the same tools, services and resources of large enterprises without a large data center investment or dedicated IT staff. Amadeo UCCaaS takes SMBs one step further by providing full featured enterprise unified communications and collaboration in the palm of their hands. Amadeo is fully customizable to business needs with the ability to pick and choose features on demand. Amadeo is cross-platform (Windows/Mac/Linux), mobile ready (iOS/Android) and is system agnostic, allowing SMBs to work with an existing communication infrastructure and to communicate and collaborate with the solutions of others. Consistent user experience with Modalities (escalation/de-escalation of features and people) across all devices - iOS, Android, Windows, Mac and Linux. Complete desktop UCC functionality available on mobile devices, optimized for WiFi/3G/4G/LTE, & included patented features such as Sweeping® technology (device/network handoff). Get off the ground in minutes with a clear and concise provisioning tool that makes provisioning simple, easy and suitable for all Industry verticals. 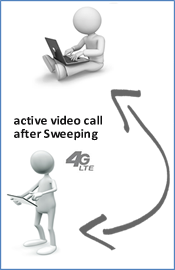 Get PBX and telephony features bundled into a single app to conduct business. Reuse/Replace old PBX systems and current VoIP/IP Centrex solutions. Save money and increase efficiency by consolidating online meetings, audio and video conferencing, remote access and other features with one solution that does it all. Amadeo is a secure solution with end-to-end encryption adhering to industry standards. In addition, Amadeo offers a patented security with multi-way revolving encryption with deterministic back off, multi-directional encryption with autonomous key generation in real time, and dynamic certificate based replay protection. 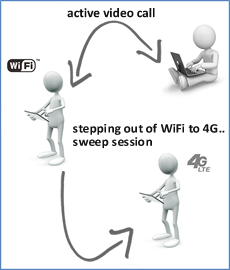 a process of seamlessly handing off an active communication session between devices & networks. 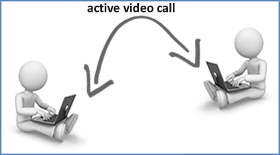 You are in a video call at your office desk with another colleague. Imagine you need to step out. 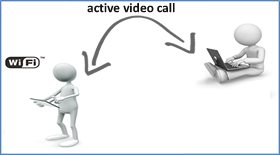 What happens to your video call? You have to end it. And after you are back at your desk you have to re-engage. 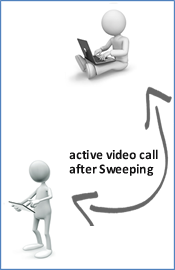 What if you did not have to do it and can take your call on your mobile device and continue your session? Sweeping technology will allow you to do so. To continue your session, you have to simply login into your device of choice and your existing session will automatically transfer to the new device and your colleague will not know you have switched to a new device. 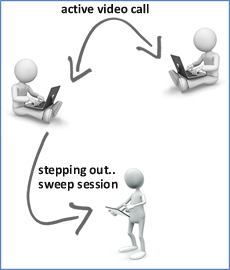 A user can handoff/migrate an active session such as Presence, IM, Audio, Video, and/or Desktop/Application Sharing viewer between devices and/or networks without dropping the active session.